Glacier Park Photographer: Spring has made it to Glacier Country - Grizzly Bears are out - It's time to get your bear spray ready! 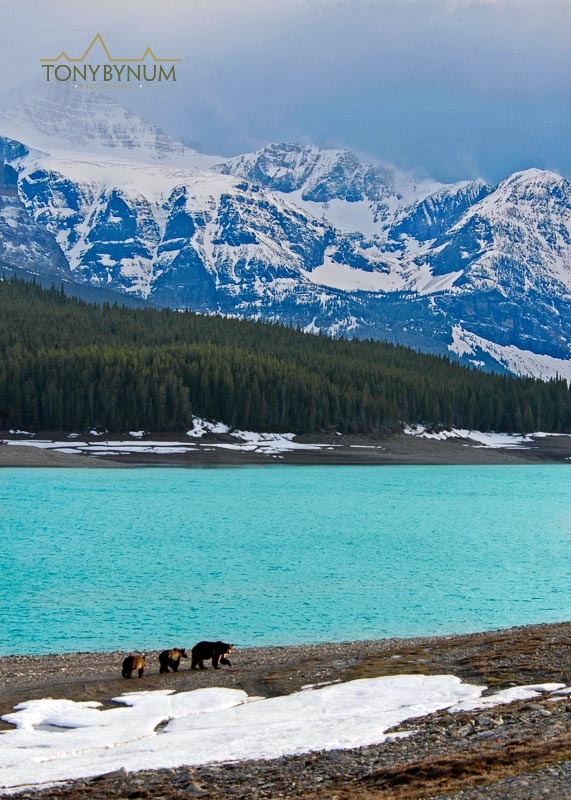 Spring has made it to Glacier Country - Grizzly Bears are out - It's time to get your bear spray ready! The first signs that spring is upon us in Glacier National Park is the presence of grizzly bear tracks, usually spotted in late March and early April. While it is true that grizzly bears can and often do poke their heads out during the winter, the presence of regular tracks and sightings begins in the spring. Please be sure to be bear aware if you're anywhere in Western Montana. Now is the time to check to make sure you have your bear spray handy! I always like to check the expiration dates on all my bear spray cans each spring. I'm pretty sure they would still work well past their expiration date, but for the price of a new can of bear spray, why chance it? I use and like very much the bear spray produced here in Kalispell, Montana by, Counter Assault. be used without permission from Tony Bynum. I recently checked in with Counter Assault to ask them about what to do with old cans, and here's what Melissa had to say: "disposal of counter assault is simple. Just point the can at the ground, clear of pets, animals, and other people, be sure the wind is not going to bring the product back into your direction, and discharge the can. Next wrap the can in news paper and dispose of it in the trash." Sounds simple enough! I actually had two cans that were past their pull dates. So, I went out and gave it a try. I actually wore latex gloves just in case, but it was very simple. I put the breeze to my back and discharged the cans on to the ground, wrapped them up and in the trash they went. Be sure to check with the National Park Service - Glacier National Park website for road closures and other important park dates. Get out there and start taking photos! stunning photos on your site! so educational! great job!